On the 6th floor the Centre for Research Collections (CRC) are also allowing students to use their research suite (12 seats) for study space. Access is only available during CRC opening hours (Mon-Weds 9am-7pm, Thurs-Fri 9am-5pm. No access at weekends.) Ask at the CRC enquiry desk on the 6th floor to get access. Again this study space is available until 20th May 2016. 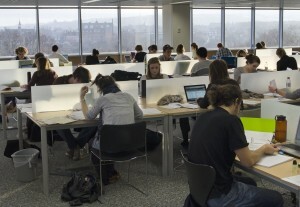 2) Additional study space has also been made available in the David Hume Tower (lower ground floor). The following rooms have been opened up for study space and are available 8.30am-10pm until 20th May 2016. LG06, LG07, LG08, LG09, LG10 and LG11. 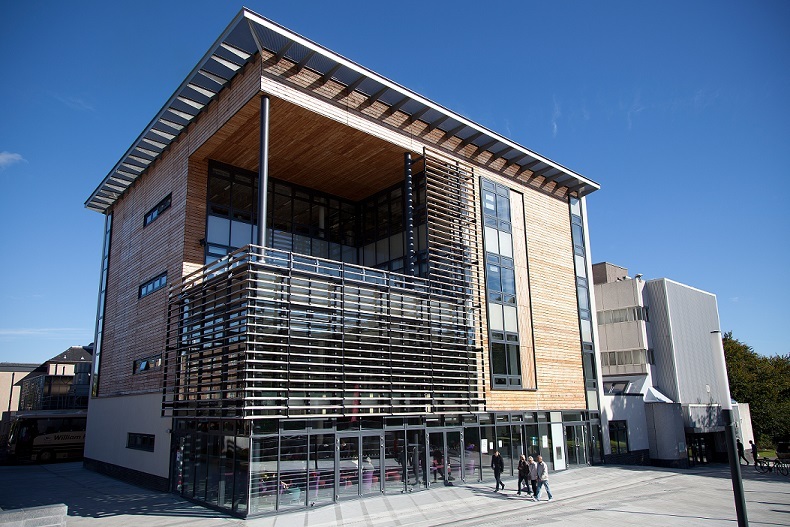 3) Remember that year round there are other libraries and study spaces available within the central area and within walking distance of the Main Library that you can use e.g. Moray House Library, Edinburgh College of Art (ECA) Library, Hugh Robson Building, etc. 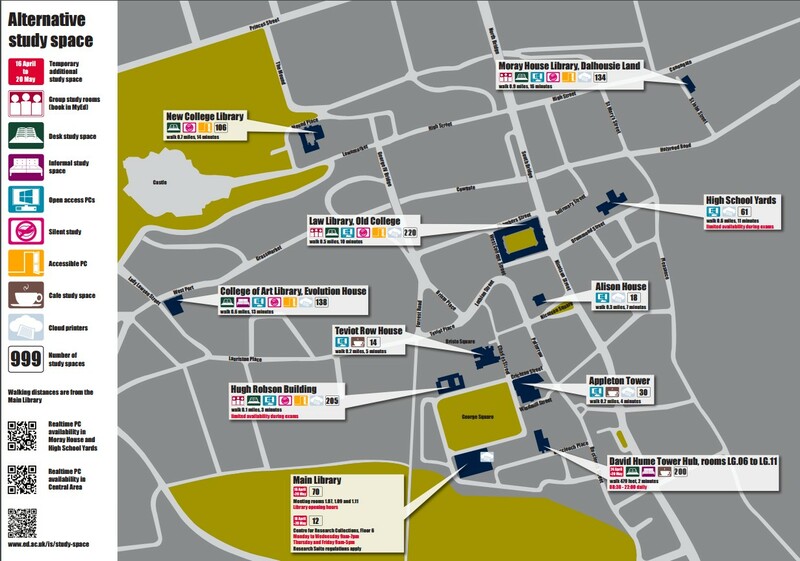 A handy study spaces map showing all these different places, the facilities available at each site and the number of study spaces available can be downloaded from http://www.ed.ac.uk/information-services/students/study-space/interactive-study-space-map. 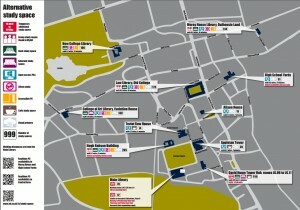 You’ll also find a poster-sized version in the Main Library just after the entrance gates. 4) If you’re not based in the central area or are willing to go further afield there are libraries and study space available at other University of Edinburgh campuses. For instance, the King’s Buildings campus has a wide range of study space and computing facilities available and the free shuttle bus from the central area to KB will continue to run till the end of semester. Find opening hours for all site libraries at http://www.ed.ac.uk/is/library-opening. This entry was posted in Library, study and tagged exams, facilities, study space by spslibrarian. Bookmark the permalink.